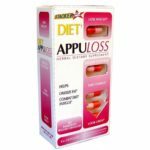 Avatrim is a diet pill that, like so many others, claims it will change your life through diet pills, diet, and exercise. However, there is no proof that it actually works. In fact, the science proves Avatrim doesn’t work. This Avatrim review shows you what you can really expect from Avatrim. Biotin (600 mcg) is just a fancy name for Vitamin B7; it does not contribute to weight loss. L-Carnitine (500 mg) is supposed to contribute to weight loss, but the research does not support this. Until research is able to substantiate these claims we cannot back L-Carnitine as an effective weight loss ingredient. Green tea (240 mg) has been proven to contribute to weight loss. However, studies have shown green tea is only effective when used in doses of 300 mg or more per day. Thus, this Avatrim review finds there is not enough green tea in Avatrim to cause weight loss. Alpha Lipoic Acid (198 mg) produces energy. Your body produces plenty of Alpha Lipoic Acid on its own; you dont need to supplement with it. Bioperine (10 mg) helps the body absorb nutrients; it does not necessarily do anything for weight loss. 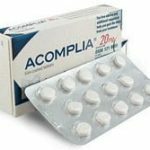 R-Alpha Lipoic Acid (2 mg). 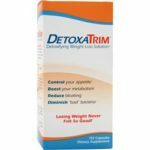 The only proven ingredient contained in Avatrim diet pills is green tea, and it is not included in a high enough amount to do anything to cause weight loss. Avatrim diet pills cost $29.95 per bottle (a one month supply). While this is a pretty average price for a diet pill, it is too expensive for Avatrim. There is no reason to believe Avatrim will actually cause weight loss; the science simply does not prove it. You will find much better success with one of our recommended products. They contain proven ingredients in the necessary amounts to help you lose weight. Avatrim claims to have a 90 day money back guarantee. However, they do not give specifics on their guarantee. Usually this means there are hidden charges (like restocking or administrative fees) or they have other restrictions they dont want you to know about. According to Avatrim, There are three main sections on the Avatrim Diet Program. First is the Formula; followed by the Food Plan; and lastly, the Activity Plan (website). Basically you are supposed to take the Avatrim diet pill, eat what they tell you to, and exercise. It is a good idea in principle, but since Avatrim diet pills dont work, you might as well stick with a regular diet and exercise. It would save you some money. By ordering Avatrim, you are enrolled in the free weight management club. Again, it is just an exercise program, nothing special. Dont be fooled by their bold claims; Avatrim will not do anything for you. This Avatrim review finds this is just another subpar diet pill. There is NO reason to believe Avatrim diet pills will actually cause weight loss. Dont waste your time or money on Avatrim. Go with a diet pill that actually includes proven ingredients in proven amounts.